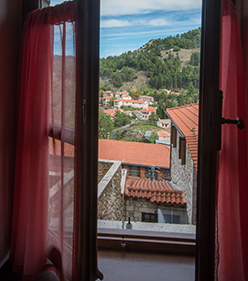 Dimitsana is one of the most beautiful mountain villages of Arcadia and yet a place with a rich history. It is full of stone mansions and picturesque alleys and of course has a developed tourist infrastructure. It is located at an altitude of 940 m. to 1,020 m., at the point where the ancient Tefthis was, on two hills, between which passes the main asphalt road of the village. 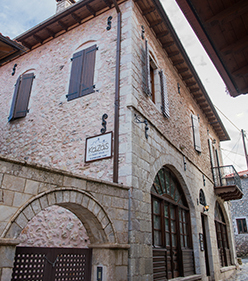 Stay in traditional guesthouse in the center of Dimitsana, built with love and respect to the local architecture. 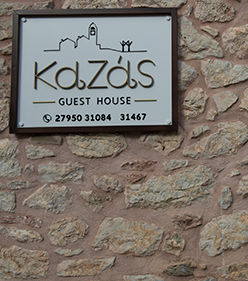 Guest house Kazas are situated in the heart of Dimitsana, between Lagadia and Vytina villages, only 11 km from Stemitsa village. Fully renovated and refurnished satisfies the most demanding guest, redefining the term accommodation. We created an ideal house, a place where you may leave all stress behind, meet the blessing of nature and fill yourself with positive energy.